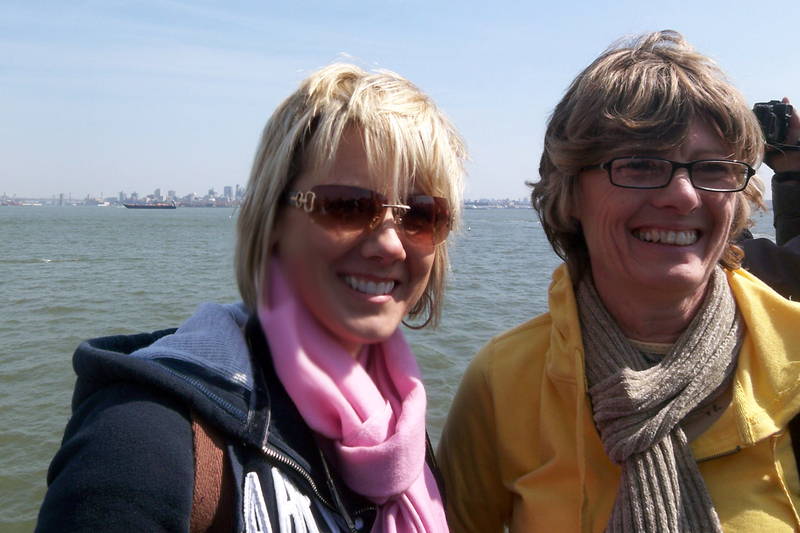 Pam and I on the ferry to the Statue of Liberty in 2009. (and we always knew it would be you, cause you know, you’re older and all). be the last we’d ever see of the other. yet here we all are to say farewell to a dear friend on a new journey. Your days ahead are well-deserved. stuck in ruts they couldn’t get out of. You, my friend, were the difference in them making it or not. and dare I say, a cornerstone to that place on the hill. we have traveled many roads together. we have laughed so hard we cried and cried so hard we laughed. I raise my glass to you, my friend! and you are the first person I go to when I need to know what I don’t want to hear. While we may have joked about not seeing each other again after we part ways and start new lives, I need to confirm my reservation at your place for August Conference. Oh, and can you make me some of that zucchini stuff and green sauce stuff I like so much? And find us a good play to go see while I’m there.